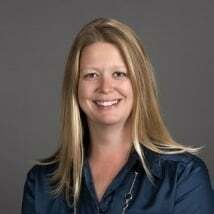 Misty Gil joins the Green Team with 16 years of experience in the green industry. Misty studied at NC State in the Agricultural Institute and upon graduation worked at Greenscape for 6 years as a foreman. Since then she has gained a wealth of experience in the landscape industry working throughout the Triangle area as an enhancements manager, floriculturist, and live nursery specialist. In her new position as a CRM, Misty is excited to have the opportunity to join her vast knowledge of landscaping & horticulture with her passion for excellent client service. She hails from Coats, NC and outside of work she can be found managing Daniel Christmas Tree Farm which has been in her family since 1980. 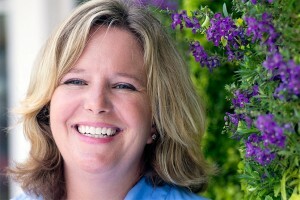 In 2011 Misty was awarded Farmer of the Year and currently presides as President of NC Eastern Christmas Tree Growers. She enjoys camping at Hanging Rock State Park, white water rafting and spending time with her husband, Rueben; dogs, Niko & Bug; and her cat, Scout. In my two years of experiencing working with Greenscape I am very satisfied with the quality of work performed. In my line of work prompt response and resolution to an issue is crucial and Greenscape has proven to be asset as they are very prompt and efficient at solving problems. Their quality of work is above standard and has made my job a lot easier! 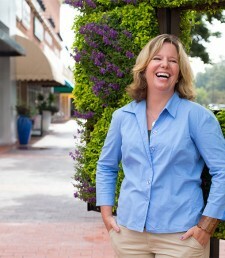 Jennifer Burch - Community Manager, Professional Property Management of Raleigh, Inc.